Holistic, Osteopathic, Pediatric, Essential care for your child. Osteopathic Mediicne is based on the fundamental principle that the entire body is interrelated and has an inherent ability to defend and heal itself. Through the understanding of anatomy, physiology, structure, function, and dynamic biomechanical interrelations, an osteopathic physician is able to palpate, diagnose, and treat restrictions that limit the body's full potential. Traditional osteopaths focus on treating the whole person and their underlying cause for the condition rather than treating the symptoms alone. Osteopathic philosophy and principles permeate all aspects of health maintenance, disease prevention, and treatment. Shawn K. Centers, DO, FACOP, BCIM, BCIP, is the medical director of the Children's HOPE Center (Holistic, Osteopathic, Pediatric, Essential). Before starting the Children's HOPE Center, Dr. Centers served as the medical director of the Osteopathic Center for Children, where he worked closely with the esteemed Dr. Viola Frymann for over 20 years. He is an internationally renowned pediatrician and osteopath chosen by Dr. Frymann to continue her work. Over the years, under the direction of Dr. Viola Frymann and Dr. Shawn Centers, patients have been seen from all over the United States, Europe, Asia, and Mexico; Drs. 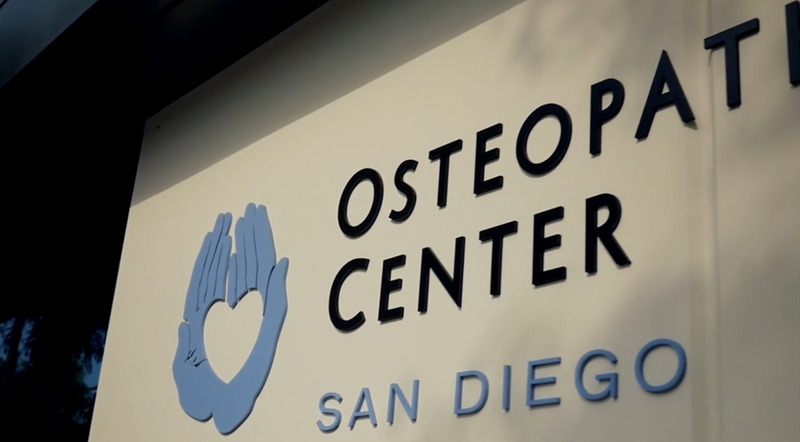 Frymann and Centers developed the Osteopathic Center for Children into a renowned international training center, working with physicians and osteopaths from around the world. Dr. Centers is a pediatrician, integrative medicine specialist, and internationally known expert in osteopathic pediatrics, nutrition, and herbal medicines as they apply to children. Dr. Centers has been a student of Dr. Viola Frymann for over 20 years and worked personally with Dr. Frymann for the last 14 years. Dr. Centers was the founding President of the American Academy of Pediatric Osteopathy. Dr. Centers is a Fellow of the American College of Osteopathic Pediatricians. Dr. Centers has been named a "Top Pediatrician" in San Diego County, California by the International Association of Pediatricians (IAP). He is a Distinguished Fellow of the American Pediatrics Council and a Lifetime member of the American Council of Pediatrics Specialists. He is Master Herbalist anda founding diplomat of the American Board of Holistic and Integrative Medicine. Dr. Centers trained in pediatrics and served as a Pediatric Chief Resident for the Children's Hospital of New Jersey, one of the largest children’s hospitals in the nation. During his residency he continued his studies in advanced Osteopathic Principles and was very active in developing and integrating Osteopathic Principles into the educational program for residents and medical students. In addition to his training in conventional medicine, Dr. Centers is trained in biomedical, nutritional and botanical medicine. Dr. Centers has exceptional skill and knowledge in applying osteopathic approaches, herbal medicine, and treatments that address the whole child and developing a comprehensive health care plan. His pediatric practice encompasses both sick and well visits. He also performs routine physical, sports, and osteopathic exams for newborns, children and teenagers. Dr. Centers has extensive experience with treating children who have rare, difficult to treat, developmental and neurological disorders including children with epilepsy, cerebral palsy, learning disorders, attention deficit disorder, asthma, allergy, autism, traumatic brain injury, and rare diseases. Some equipment used during treatment: Static sound therapy equipment representing the latest innovation in neuroscience and psychoacoustic technology. Children with a history of epilepsy have an early history of birth trauma which is very amenable to Osteopathic treatment by decreasing the tension the soft tissue of the body including the brain and spinal cord, addressing nutritional inadequacies, and treating the child as a whole person. Many patients have found relief in symptoms by properly applied osteopathic and integrative therapy methods. Dr. Centers is most noted for his development of innovative osteopathic and integrative medical techniques in children with complex medical problems, especially children with autism. Centers studied herbal medicine under John R. Christopher. He has extensively studied the techniques of John Grinder, Richard Bandler, and Thad Everet James. Centers utilizes the Time Line Therapy techniques developed by Tad James, PhD. Dr. Centers is also a Master Trainer of Neurolinquistic Programming and Time Therapy and was certified by Tad James. Dr. Centers is a clinical professor of pediatrics and osteopathic medicine at a number of osteopathic medical schools in this country and abroad including Toura University, A.T. Still University, and the Osteopathic College of Bologna, Italy. He was the lead author in the pediatrics chapter of Foundations of Osteopathic Medicine, the most widely used osteopathic textbook.